Dr. Sophia Suprai joined NorCal Spine & Sport in October, 2015 while she was completing her preceptorship along the side of Dr. Angelo. After graduating in 2015, Dr. Suprai relocated to the Sacramento area to begin her journey in Chiropractic. Her emphasis is to provide a comfortable and personal approach to help each patient obtain their optimal health goals. Dr. Suprai believes in whole body wellness that can be enhanced with chiropractic care, exercise, and a nutritional diet. She uses a variety of treatment options which includes physiotherapy, chiropractic manipulation, rehabilitative exercises, and nutritional advice. Born and raised in Fairfield, Ca Dr. Suprai took part in many sports as an active athlete growing up. Being new to the Sacramento area, Dr. Suprai looks forward in taking part within the community and helping others obtain their ultimate health goals. Dr. Sophia Suprai is a graduate from Palmer College of Chiropractic, West Campus with an emphasis on sports medicine involving preventative and rehabilitative care. Prior to receiving her doctorate degree, Dr. Sophia Suprai attended California State University, Sacramento with a Bachelor of Science degree in Kinesiology, Exercise Science. Throughout the course of her academic career, Dr. Suprai took part in several internships and seminars involving athletic training, physiotherapy, chiropractic technique, rehabilitation, soft tissue therapy, and nutrition. 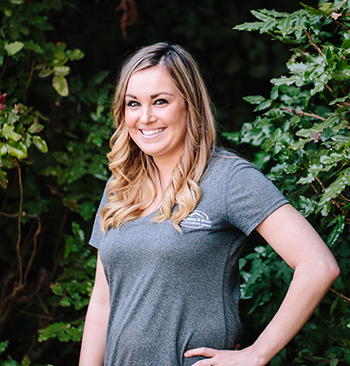 She currently holds multiple sports medicine certifications including Active Release Technique, Graston, and Fascial Movement Taping. Aside from her experience in sports medicine, Dr. Sophia Suprai also takes part within the International Chiropractic Pediatric Association and is currently working towards her post-doctoral studies with a focus in pre-natal and post-natal care. She is currently certified in Webster Technique which is a specialized chiropractic adjustment and muscle release technique involving the sacrum. The Webster Technique helps normalize the physiology during all the changes that occur within a pregnancy. She is currently a member with the International Chiropractic Pediatric Association, American Chiropractic Association, and California Chiropractic Association. Dr. Suprai has worked beside some the of the best mentors within the profession and has learned multiple techniques to help tailor to a patient’s specific needs. She finished her Doctorate by completing her preceptorship at NorCal Spine and Sport and has continued to work along the side of Dr. Angelo since October, 2015. In 2013, Dr. Suprai became a Certified RockTape Doctor through RockTape’s Fascial Movement Taping certification courses. This popular therapy helps to stabilize the injured area after treatment as well as speed up the recovery time through decreasing inflammation, decreasing pain, and optimizing healing. RockTape allows patients to return to activities during the injury phase as well as supports the body through movement and exercise. In 2014, Dr. Suprai completed the coursework and examination to become Upper Extremity certified in Active Release Techniques® (ART®). In 2016, Dr. Suprai continued her post-doctoral studies in Active Release Techniques® (ART®) and completed the coursework and examination to become Lower Extremity certified. This technique is developed and taught by Dr. Mike Leahy of Colorado Springs, with over 500 protocols that treats problems with muscles, tendons, ligaments, fascia and nerves. In 2015, Dr. Suprai completed the coursework and examination to become Webster Technique Certified through the International Chiropractic Pediatric Association. The Webster technique was created by Dr. Larry Webster to help restore pelvic balance and function during pregnancy. This technique helps restore normal physiologic function and improve comfort throughout pregnancy. In 2016, Dr. Suprai completed level 1 of coursework and examination to become a Certified Provider in Graston Instrument Assisted Soft Tissue Mobilization Technique®, a system that incorporates patented tools to effectively treat areas exhibiting soft tissue fibrosis and chronic inflammation. Completion of the program demonstrates expertise in advanced principles and the implementation of rehabilitative methods and treatments geared at achieving optimal results.